Editor’s Note: Frank Kush, football. Ned Wulk, men’s basketball. Bobby Winkles, baseball. Along with track and field coach Baldy Castillo, this group helped elevate Arizona State University athletics into a nationally known program from the late 1950s on. This Cronkite News special multimedia report explores their careers and legacies. Click on the graphic to explore a timeline of Ned Wulk's career as Arizona State basketball coach. TEMPE – When Arizona State basketball plays at Wells Fargo Arena, the Sun Devils aren’t just defending their home court. They’re defending the legacy of Ned Wulk. While names like Lute Olson and Jerry Colangelo come to mind when talking about Arizona’s basketball legends, those who lived in the Valley during the ’60s and ’70s might pick Wulk as the state’s patriarch of hoops, fondly remembering his seasons in the old Sun Devil Gymnasium. ASU has changed with time, but Wulk, who passed away in 2003 at the age of 83, remains a presence on campus. The university named Wells Fargo Arena’s hardwood Ned Wulk Court in 1998 to honor a 31-year coaching career that put Sun Devil basketball on the map. Along with ASU coaches Baldy Castillo (track and field), Frank Kush (football) and Bobby Winkles (baseball), Wulk helped build one of the most successful college athletic programs in the country during a time when little attention was paid to college sports west of the Mississippi. At 495-342, Wulk still has the most wins by any coach in ASU history. His teams also made three appearances in the Elite Eight. 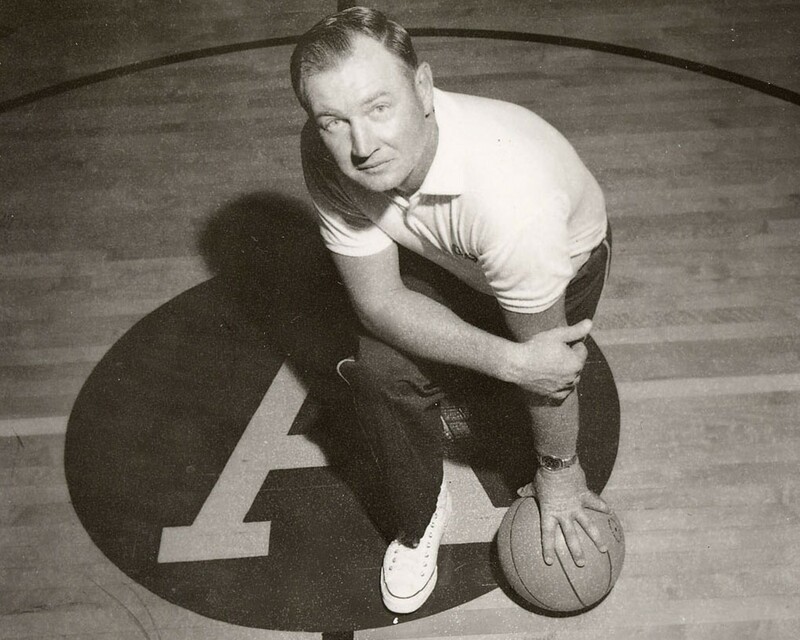 Wulk coached basketball, baseball and freshman football at Xavier University in Cincinnati before moving his family to Tempe in 1957 to coach basketball for Arizona State College at Tempe, which became Arizona State University in 1958. With enrollment barely above 10,000 and a scarce interest in basketball, he took the Sun Devils to the NCAA tournament’s Elite Eight in his fourth season. His teams became known for an aggressive style of play that included full-court presses and fast breaks. The Suns didn’t come to the Valley until 1968, so when Wulk’s frenetic teams, known affectionately as the “cardiac kids” for their superior conditioning, started winning early there wasn’t enough room in the old gym. Despite Wulk’s success, Joe Caldwell, an All-American at ASU and the second overall pick in the 1964 NBA draft, said some of the coach’s practice habits might not be allowed today. Caldwell and Becker played for what is considered to be one of ASU’s greatest basketball teams in the 1962-63 season. Its record of 26-3 is still the school’s all-time best, and the Sun Devils beat John Wooden’s UCLA team 93-79 in the second round of the NCAA tournament before falling to Oregon State in the Elite Eight. Wooden, whose Bruins repeated as national champions the following two seasons, ran up the score on Wulk in a 1964 regular season rematch without taking his starters out, winning 107-76. Wulk wasn’t without his own share of criticism. Caldwell said some of his fellow black teammates, such as his roommate Gerald Jones, felt Wulk treated them unfairly in terms of playing time and in other ways. “I never noticed or felt anything like that. As long as you focused on your job, everything was all right,” Caldwell said. While Wulk’s offensive and defensive schemes created excitement on the court, Alan Schmelz, one of Wulk’s players who went on to play Major League baseball, painted a different picture of the coach’s personality. Despite his differences with Wulk’s disciplined approach, Schmelz, who won a national championship with ASU’s baseball team in 1965, said he appreciated some of Wulk’s values as he matured. Wulk’s approach demanded respect from his players, with some taking his principles with them into careers after basketball. When Dennis Dairman, now a semi-retired Maricopa County Superior Court judge, has to make a difficult decision on the bench, he said he still remembers something his coach told him 45 years ago during practice. Wulk struggled through the ’60s to stay above .500 after Becker, Caldwell and Dairman left, and he started campaigning for a new basketball arena. The old gym, which doubled as the school’s physical education building, sat fewer than 5,000 and was falling behind compared to facilities at other universities. 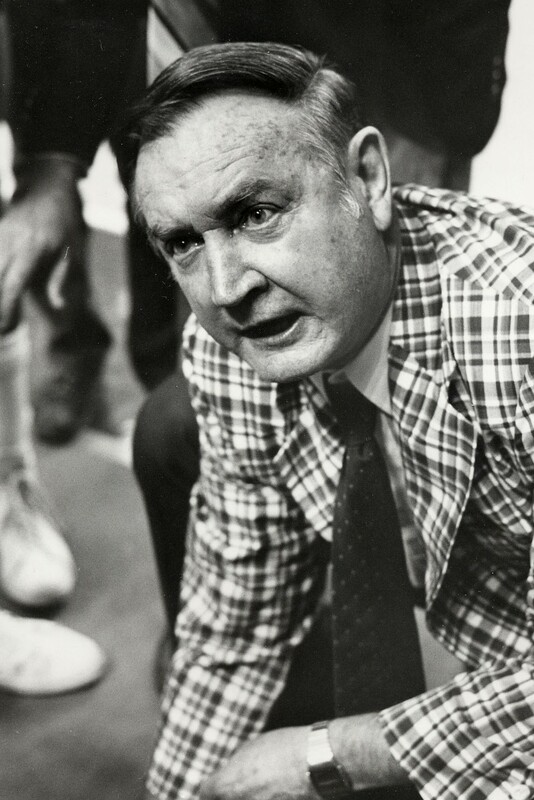 Weurding said Wulk was offered at least two jobs at the professional level during his time at ASU, and the University of Wisconsin came calling as well, but he never considered leaving Tempe once the new arena was completed in 1974. Wulk’s team won its first 20 games at University Activity Center, which is now named Wells Fargo Arena. That record for consecutive wins in the building still stands, and Wulk continued to churn out quality teams with players like Lafayette “Fat” Lever, Byron Scott and Lionel Hollins, with the latter two currently coaching their own teams in the NBA. Despite all of the milestones he reached, Wulk didn’t have a chance to claim his 500th win at ASU. After a 13-14 record to end the 1982 season, Wulk sensed a lack of support in the school administration. With Wulk just five victories shy of 500, ASU announced it was promoting him from head basketball coach to an adviser for athletic facilities. Still dissatisfied with the thought of retirement, he finished his final few years at ASU teaching in the physical education department before retiring altogether. Former players said they expected more from the university. “He should have a statue for what he did at ASU,” Becker said. In the 32 years since Wulk’s ouster, ASU has never made it past the Sweet Sixteen in the NCAA tournament or reached the No. 3 ranking his team attained in the 1980-81 season. Weurding said Wulk’s family takes solace knowing a part of him will always be with ASU whenever the Sun Devils play on Ned Wulk Court. “That’s where he was happiest – in the arena,” she said. Wulk’s son, Greg, has been a season ticket holder at ASU basketball games since he graduated from the university. He said his dad never missed a game until his death. “He was a Sun Devil until the very end,” Greg Wulk said. Former Arizona State basketball coach Ned Wulk, known for his fiery personality, coaches a game. Ned Wulk, who joined Arizona State as basketball coach in 1957, led the Sun Devils to three NCAA tournament Elite Eights and won nearly 500 games.